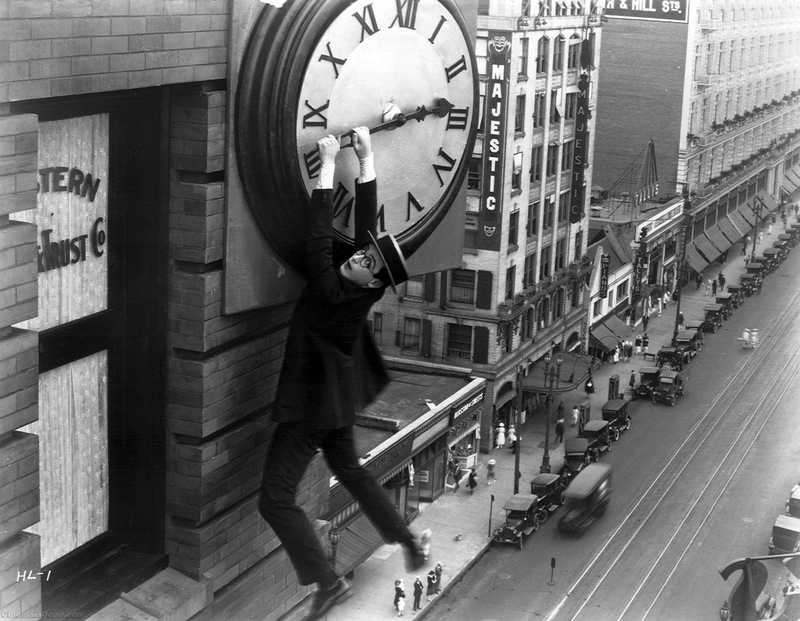 Harold Lloyd’s portrayal of life minimum-waged among bloodthirsty department store throngs will resonate with those who’ve worked on the other side of the counter (and that probably accounts for most of us in the 99%). 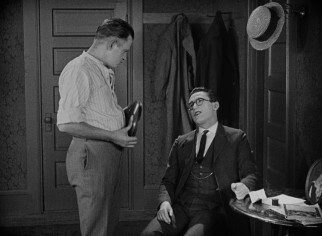 The classic 1923 silent comedy follows the misadventures of “The Boy,” who works as a lowly sales associate in The Big City. It’s so accurate I’m convinced the film’s creators worked at Bloomingdale’s or Macy’s at some point. Not much has changed since then. 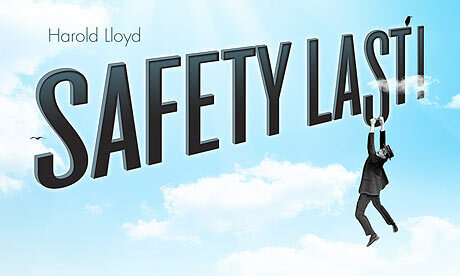 That the phrase “Safety First,” which the film’s title parodies, is still used in corny mandatory safety videos just confirms it (John ignored safety first rules and stood on the top ladder rung. Now he’s dead. *Cue ominous music*). And the scene where hordes of sale-crazed shoppers attack The Boy could come straight from a modern-day Black Friday free-for-all. It brought back fond memories. There’s this one scene where a matronly patron asks to see every bolt of cloth on the shelves. In the end she leaves with just a tiny free sample. My experience was similar, only it involved king comforter sets and the tallest shelf in the store. Ah, retail. How I … don’t miss you. The Boy promises his fiancé, The Girl (Mildred Davis), he’ll send for her as soon as he makes enough money for them to get married. Of course he lies, writing that he’s making gobs of money and ordering peons around when in reality he’s a lowly clerk behind on rent in the ratty apartment he shares with “The Pal” (Bill Strother, who has a fantastic albeit stomach-churning scene reminiscent of Ebbet’s famous photograph). This of course presents a problem for our endearing, not-quite-so-honest hero, and he concocts a scheme to attract customers to the store in exchange for prize money. The idea? Have his friend scale the store building. Only he can’t make it at the last minute, so guess who does it instead? It’s a fantastic film; witty, true to life (some parts, anyway), and just plain fun to watch.